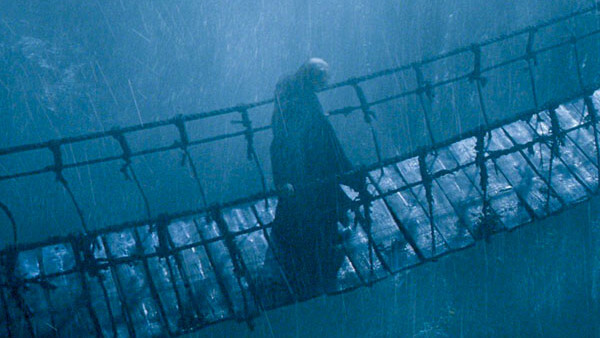 Gephyrophobia is the fear of crossing bridges. No, we didn't just make that up to sound intelligent, it's an actual thing and is one of those irrational phobias that crosses over with (the much more common) Acrophobia, which is a fear of heights. As silly as the phobia may sound, it's pretty logical. Think about it: next time you channel your inner Indiana Jones and cross a rope bridge, try looking down over the edge or maybe even peaking in between individual slats. It's normally water that's down there, but what if you fall and land on those rocks? See, we're getting worked up about it and we don't even have Gephyrophobia. Not yet anyway. 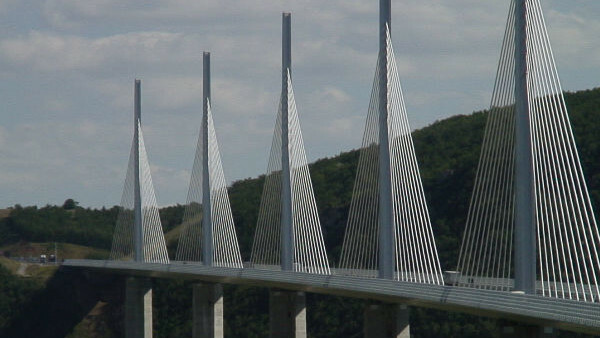 Straight away, those who suffer from a fear of heights will want to avoid the Millau Viaduct situated in a beautiful valley crossing part of the River Tarn in Southern France. Acrophobics, look away now, because this particular bridge stands a massive 343 metres (that's 1,125 feet to those keeping score) above the ground. Thankfully, that's just the mast. The actual deck of the bridge is only 270 metres (890 feet) away from the feeling the safety of earth beneath one's feet. That's alright then, eh? Phew, you'd think 270 metres was jumping distance or something to read it like that. It's not, before anyone gets any ideas; even with a bungee, this would be horrific. Something that won't help those recoiling in horror is the fact that each of the 7 pylons holding the bridge aloft are only buried a mere 15 metres into the soil. That doesn't sound like a lot when considering the peak of the masts stand a full 328 metres above that. Let's hope it's not windy in Millau.